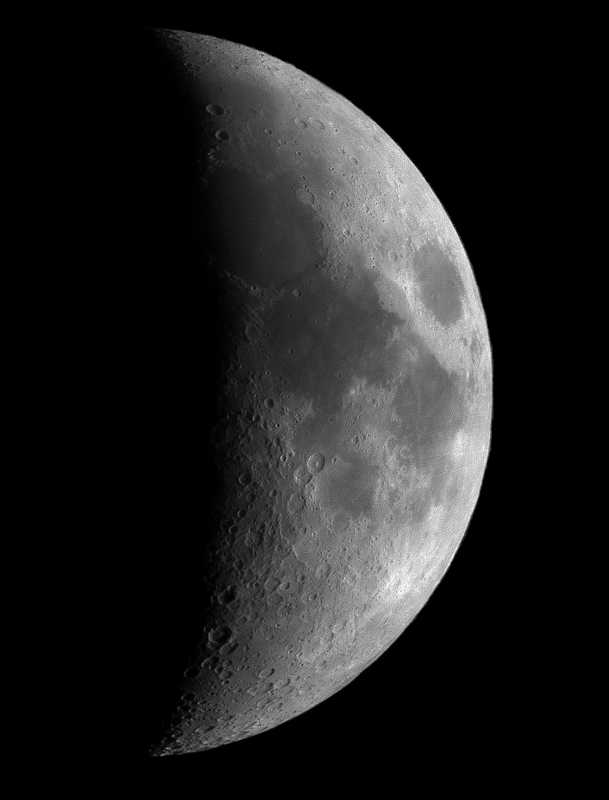 This shot is from a six day moon taken at f/10. It is a ten frame mosaic. This may not be the most spectacular shot of the moon you have ever seen, but it's kind of special to me. It was taken with my as yet unfinished homebuilt 4.25" newtonian reflector. The mirror is not quite figured properly and it has not yet been aluminized. We're talking just a piece of almost spherical polished glass here!